There were no night watchman positions available when Jackman injured his hand in 1866 but, at the age of 41, he re-applied for the position and was hired in February 1876 at the rate of $20 per month. His duties largely consisted of patrolling the dock, watching for fires, and dealing with drunk people. He even had a fabled wheelbarrow, nicknamed “The Black Maria,” that he used to transport the inebriated. Jackman had various other tasks during his tenure as night watchman. He collected cattle taxes and dog licensing fees, impounding cattle belonging to those who hadn’t paid, and summoning owners with bulls or horses found roaming the city. 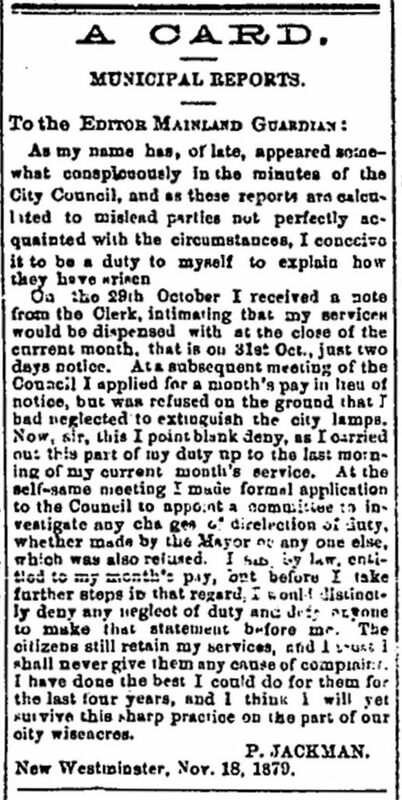 Starting in October 1878, Jackman also lit and maintained street lamps for an additional $10 per month. Jackman was given two days’ notice that his services as night watchman were no longer needed in October 1879. The dismissal was based on a complaint against Jackman for not extinguishing the street lamps. Philip Jackman engaged in a new venture during his hiatus as night watchman. 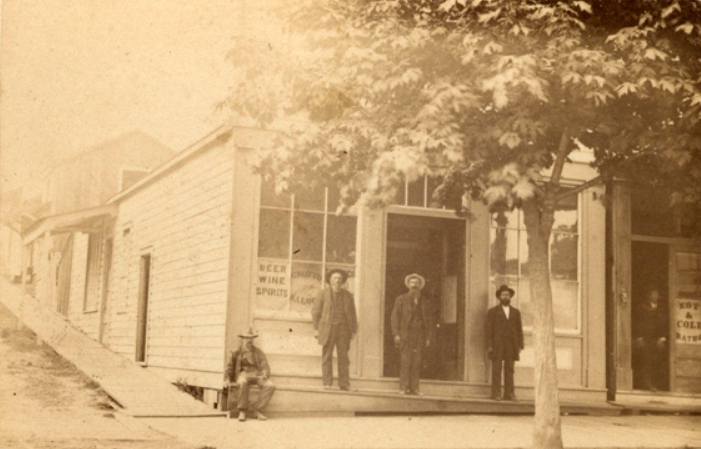 He purchased the Beehive Saloon in February 1880 and owned it for a little more than a year. 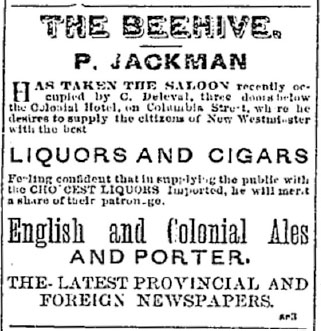 The Beehive was located on the corner of Mackenzie and Columbia Streets, and became The Grotto Saloon when it was sold to local photographer John Batrel Uren on March 25, 1881. He reapplied to be a city night watchman in March 1881, and was rehired at $30 per month. He performed in this role for three more years before submitting his resignation in January 1884.